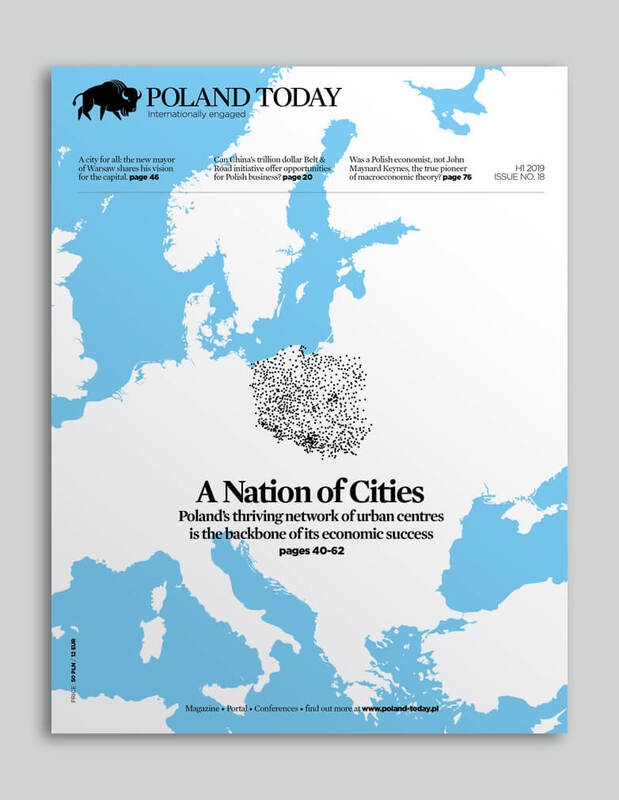 By the end of WWI, the concept of Poland’s independence had been successfully pitched to the Allied Powers in Paris by Roman Dmowski and Ignacy Paderewski. As a result, the claim for Poland’s independence was included as part of the peace negotiations with the Central Powers. In the Armistice terms imposed on Germany, all German forces were forced to stand down in Poland and other occupied areas. As the war ended, the Germans sent Józef Piłsudski, then under arrest for disobeying their orders, back to Warsaw. On 11 November 1918, with the formal end of WWI, Piłsudski took control from the puppet government the Germans had set up in Warsaw a few weeks earlier. This act marked the beginning of Poland’s sovereignty. Although formally independent, all Poland had at that time was the recognition of its statehood by the Allied Powers. Everything else had to be won, including the state’s borders, or built from scratch. The new country required its own institutions, its own legal and monetary system as well as its own infrastructure. Józef Piłsudski correctly predicted the outbreak of a major war, the Russian Empire’s defeat by the Central Powers, and the Central Powers’ defeat by the western Allies. Concluding that Poland’s independence would have to be won militarily, a few weeks after WWI began he formed the Polish Legions, a military force that fought alongside Austria Hungary against Russia and later became the backbone of the Polish Army. In 1917, with both Austria Hungary and Russia faring poorly in the war, Piłsudski withdrew his support for the Central Powers. In November 1918, when Poland regained its independence, he became Head of State. Between 1919 and 1921, he commanded Polish forces in six border wars that shaped the country’s territory until 1938. 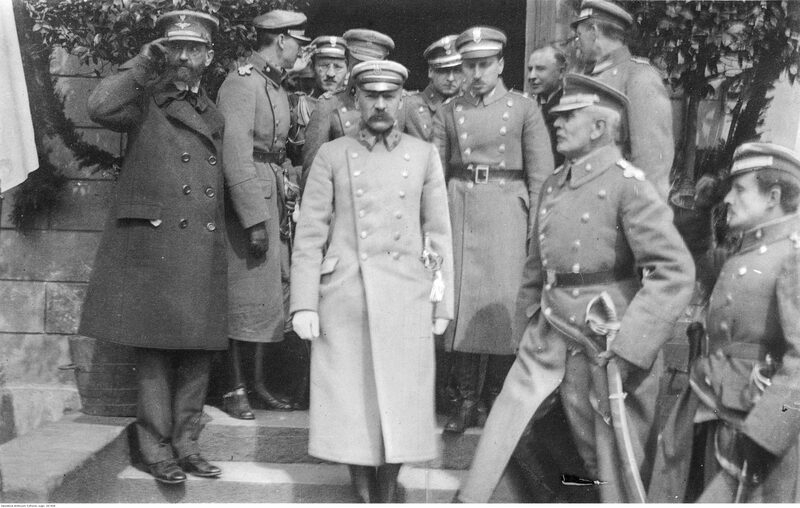 Pictured above is Józef Piłsudski with his officers shortly after the end of WWI.